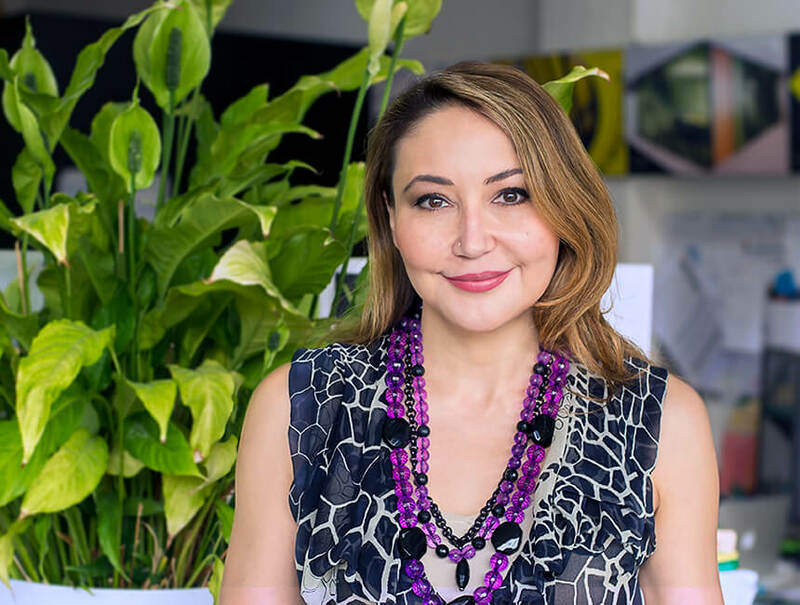 Elena Dikanova is the driving force behind BrandCulture’s immaculate processes. We spoke to her about what drives her dedication to being organised – and why it brings her joy. After moving to Sydney from a mysterious place called Siberia, Elena Dikonova found her true calling at M&C Saatchi where she landed her first account management role. Providing outstanding client service became her forte – along with keeping creative projects on track, on time and on budget. Elena is now applying her formidable organisational talents to our projects at BrandCulture where she is the studio’s Account Manager. Have you always been a natural born organiser? I have always been an organised person, which comes from my upbringing. I have finessed my skills through continuous self-education and practice. I thrive on being organised: it makes life easier and more enjoyable, so learning new ways of getting things in order have always been an interest to me. BrandCulture prides itself on its processes and outstanding client management. Why is this so important to you? Clearly defined processes are important as they form the backbone for running a successful business, creating simplicity and understanding for working together to avoid chaos and confusion. It can make or break the business. Flexibility and constant adaptability within the established processes are as crucial. For me, the importance of having processes in place comes down to two things: simplicity and joy. More simplicity creates more joy. What’s the secret to a successful designer/client manager relationship? Communication. Clear and open communication. Sounds so simple and yet it is one of the most challenging things to achieve. You joined BrandCulture from ad land. How are the worlds of design/advertising different? BrandCulture specialises in experiential graphic design and wayfinding strategy – both of which are niche and complex disciplines. Our designs are supported by complex documentation, signage schedules and master plans, which are brought to life while meeting client budgets, vision and timings at the same time. You can imagine the level of knowledge, detail and accuracy required for that. What have you learned about designers and design since joining BrandCulture? Designers enjoy collaborating on the design process and bouncing off creative ideas from each other. It seems to create a special spark. When we have a large project or a big tender to work on, we would have a team of designers working together and it is a lot of fun. It is incredible how many little details and nuances go into the design process, which are constantly evolving. This demands ongoing learning, and being open to new ideas and ways of doing things. Each of our designers has different skills in various design disciplines that compliment each other and it works really well by creating an environment for mutual learning. What are BrandCulture’s greatest strengths? Diversity. We have a team of people with different backgrounds, cultures and experiences. It is very multi-cultural and colourful. And because we are a small and neat team, everybody is very hands on and gets involved with all kinds of tasks that you wouldn’t normally get an opportunity to do in a larger company. You’re originally from Siberia. What’s it like?!! What led you to Sydney? Siberia was my humble beginning. I was born at this far away and mysterious place, which many seem to be fascinated by and it is difficult to describe its character without visiting it. Siberia is a place with beautiful untouched nature, wild animals, four distinct seasons, harsh and picturesque winters, and very humble people. That is how I remember it. I came to Sydney to study English, and then went to the University and the rest is history. Have you had any mentors in work or life? What did they teach you? I haven’t had mentors as such in my life. I listened attentively to the experiences of others and how they approached different situations in life, personally and professionally. The most valuable thing I learnt was to walk my own path and listen to my inner knowing, as it is the only true guide and the only thing that matters. In life before BrandCulture, you spent time in the Himalayas learning from Yogis. Do you still try to be Zen, and if so, how? It is something I work and strive towards every day through self-awareness, discipline, continuous effort and learning. To me, inner peace means knowing myself well – understanding my strengths and weak areas of my personality. The more I know myself, the more at peace I am with myself and the world around me. That is my Zen.